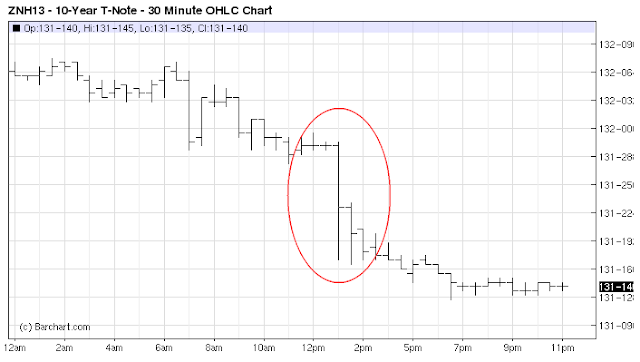 Sober Look: Was today's treasury sell-off an overreaction? 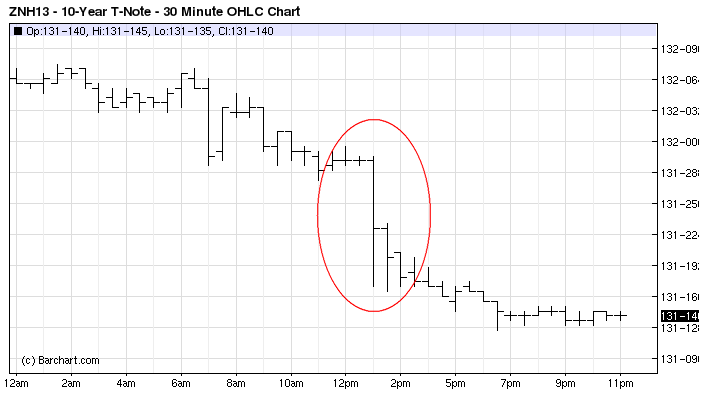 Was today's treasury sell-off an overreaction? The 10-year treasury note yield has climbed above 1.9% today - a level we haven't seen since last spring. The selloff in treasuries was triggered by the FOMC minutes, with several members targeting the end of 2013 or earlier as the completion (or at least a slowdown) of QE3. According to Barclays, this sell-off was an overreaction. Barclays Research: - The FOMC minutes showed few members willing to continue asset purchases until about the end of 2013 and several others considering it appropriate to slow or stop purchases well before the end of 2013. We believe at 10y real yields of -62bp, well above the levels even before the QE3 announcement, the market has over-reacted. Even if the Fed were to stop purchases by middle of 2013, it would have bought ~$460bn in 10y equivalents, which argues for much lower real yields. Ultimately, the FOMC's approach to asset purchases will be set by the employment numbers (see discussion). The December employment report (Friday morning) will therefore be quite vital in setting the trajectory of long-term rates.